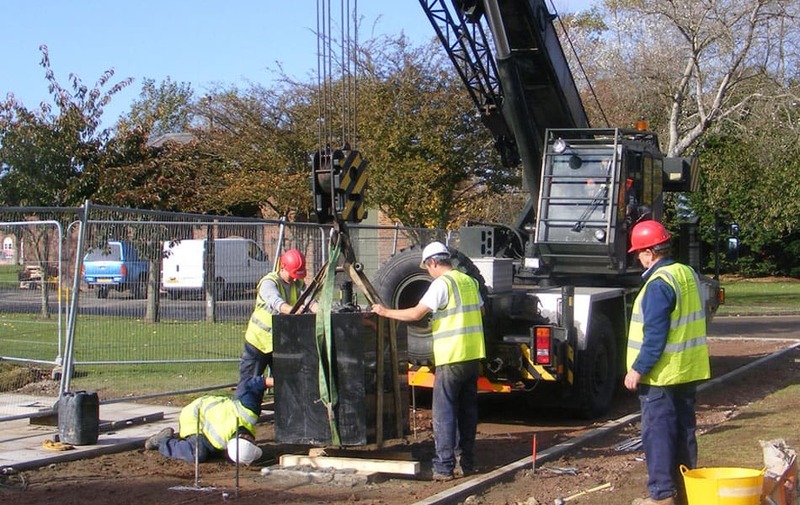 Specialist knowledge and handling skills were required for the erection of the St Athan War Memorial. 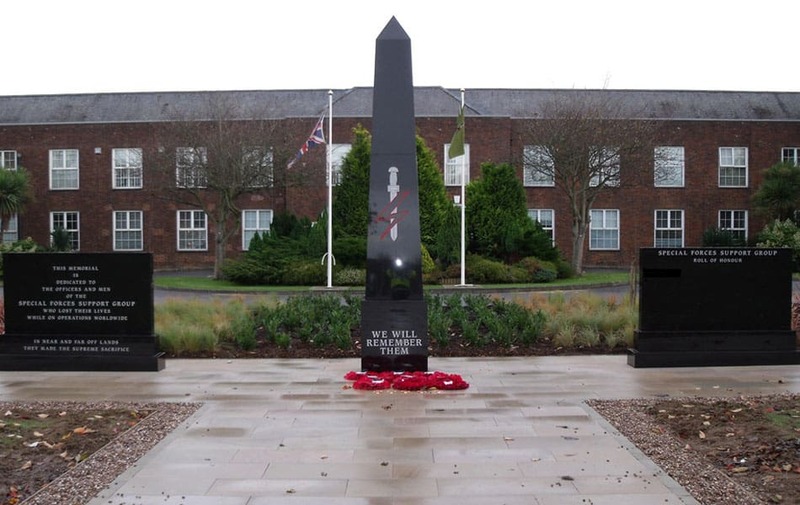 A new Commemorative Garden has been established at the Special Forces Support Group Head-Quarters at St Athan, Vale Of Glamorgan, South Wales and a new 5 metre tall all polished Black Granite Obelisk and base weighing in excess of 5 tonnes was transported and assembled under high security in a very tight time-frame and in readiness for Remembrance Day on November 11th 2009. 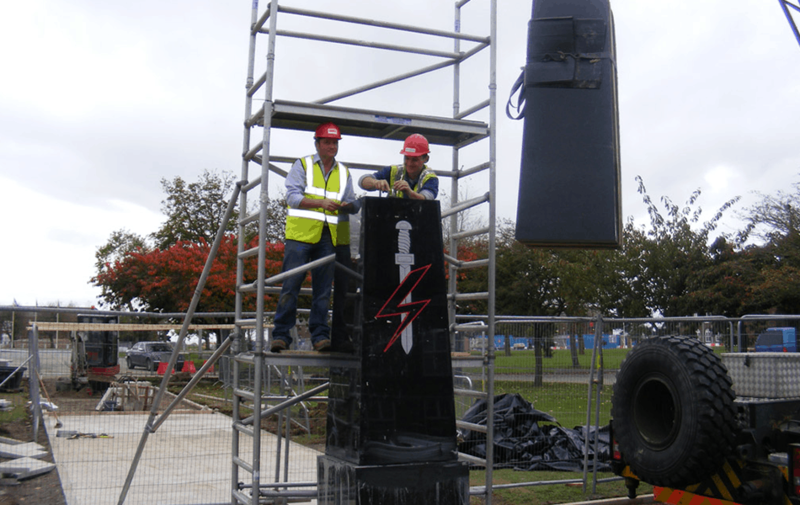 In addition to the Obelisk, two large matching headstones – weighing over 2 tonnes each and 2.2 metres wide and 1.7 metres tall, bearing the names of personnel lost in recent conflicts were also erected flanking the Obelisk.